arinakhoo: t.a.t.t.o.o + t.i.g.h.t.s = ? t.a.t.t.o.o + t.i.g.h.t.s = ? when you mentioned getting a tattoo, usually it means getting inked right? ouch ! ; and into your skin. you've got the choice to get it painted or airbrushed onto your skin. you could go for that fun-sticker tattoo. the reason i mentioned tattoo is because it's such a huge trends between young girls in japan recently ( *｀ω´) and i believe the trend is spreading everywhere at the moment. 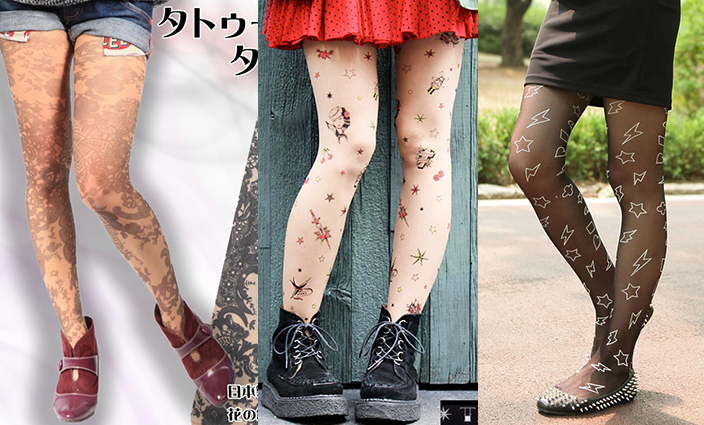 but no, not getting inked, but getting a pair of tights, percisely; a tattoo tight ( ･∀･)! i embrace tattoo as an art myself and even had a slight study on it many years ago. right now; this self-expression art had been transformed into a fashion trend. i know they are people who either love it or hate it. i personally don't hate this trend. but i was really surprised when i first saw it. never would i thought of this coming out. 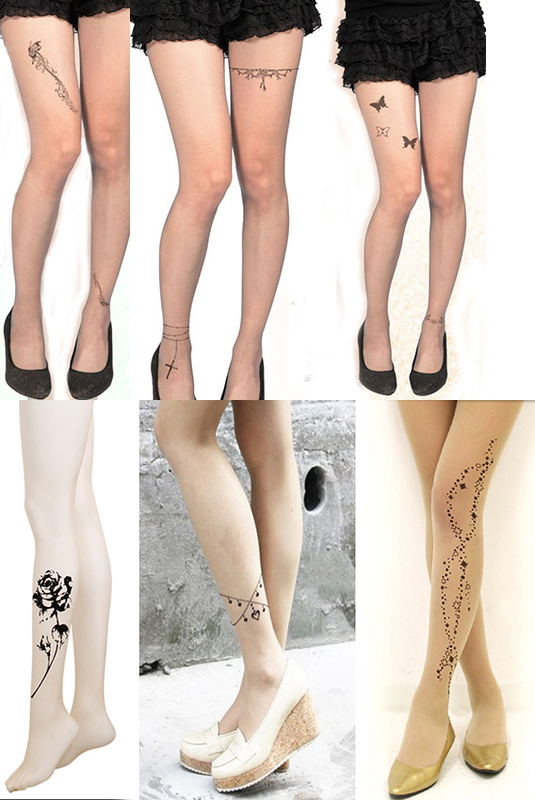 tattoo tights are mostly sheer in color, thickness could go as low as 15 denier i believe; in other words, they are quite fragile and delicate. the illustrations or words do really look surreal in a quick glance. or if you are more interested in these intricate colorful ones. though i haven't notice people wearing them here (cause it's freaking cold now)♪( ´▽｀) but they are everywhere in japanese blogs and magazines.